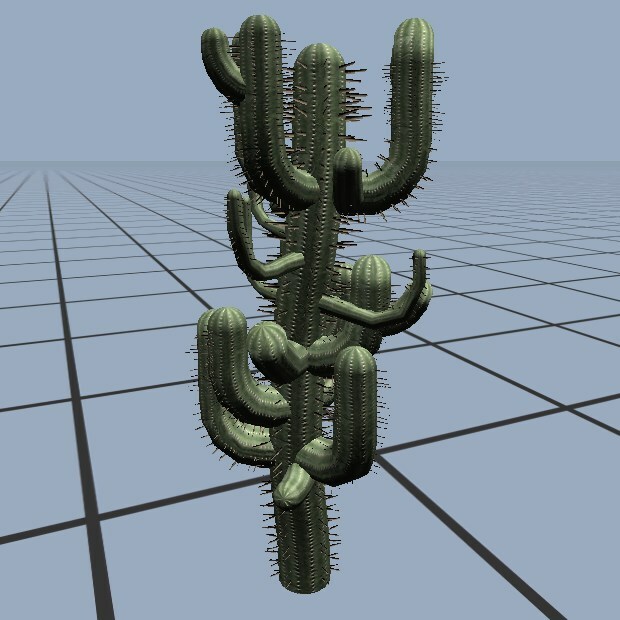 Kraut is a program to procedurally generate plants, especially trees. 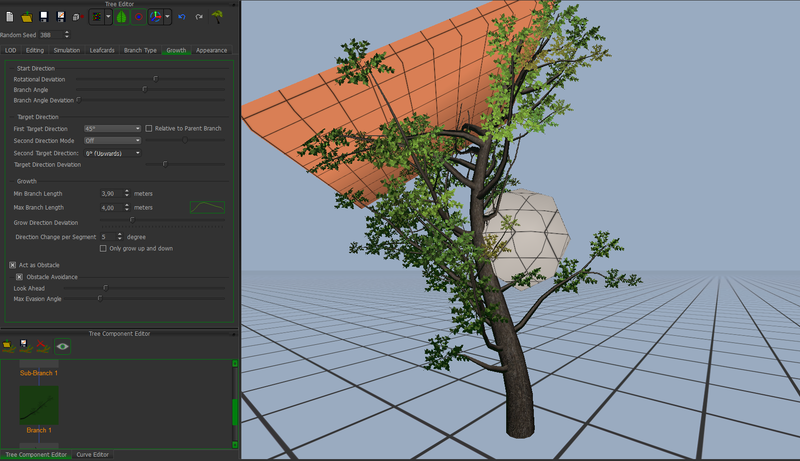 Through a set of parameters you specify how a tree is supposed to grow. 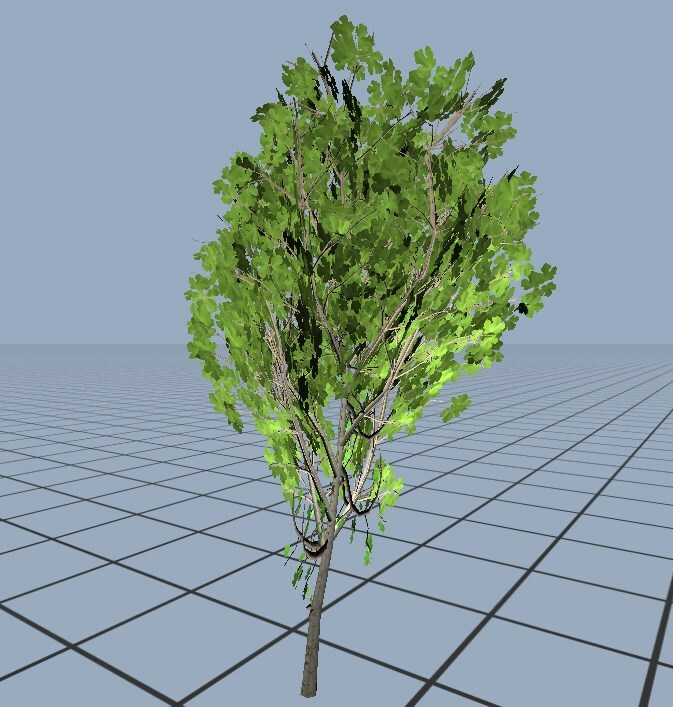 Various different, but similar trees can be generated from the same specification. 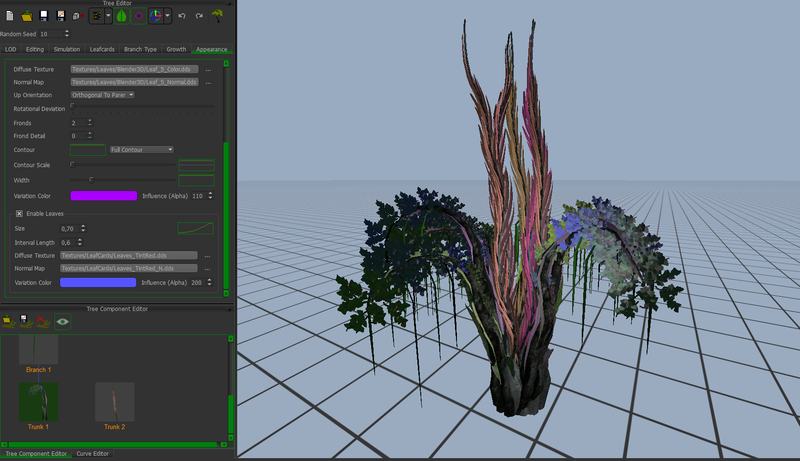 Additionally there is a manual editing mode, which allows to easily paint branches by hand, such that very unique trees can be created. Flares along branches: deform the mesh to imitate strong roots or bulges. Billboard Leaves: Leaves that rotate towards the viewer to achive more densly looking trees with few polygons. Frond and Leaf color variation: More natural looking trees through easy to use color variation per leaf. Convert to DDS: All textures that are exported as TGA can now additionally be converted to DDS format. LeafCards: Top-Down mode to create leaf textures for billboards. 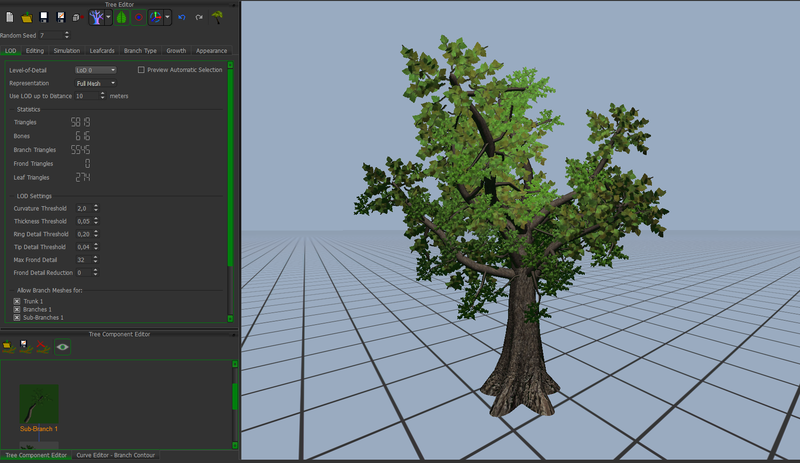 Visual Tree Component Editor: Much improved UI for editing tree components and reusing them in other trees. Generally much cleaned up UI. Added progress bars for longer operations. Several improvements to the tree generation. Branch width is now absolute, Trunk types can be spwaned with more control. 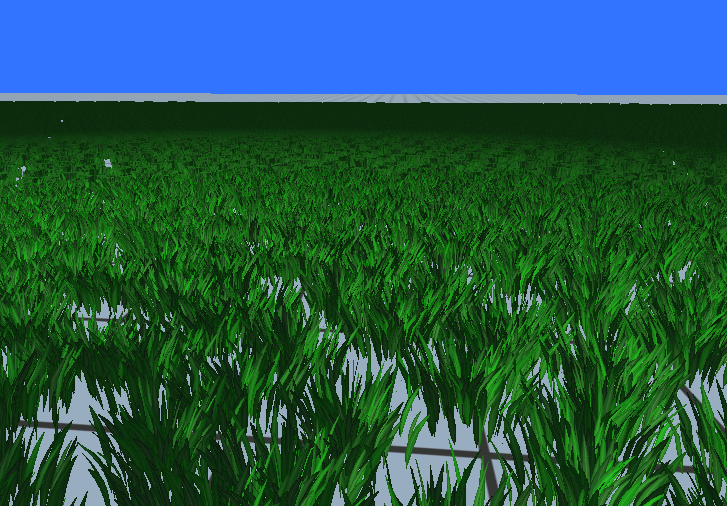 Added Billboard and Impostor LOD types. Export to custom format, which supports all the features that are required to fully render a Kraut tree. Added program "Kraut Viewer" with full source, which demonstrates how to load and render a kraut tree. 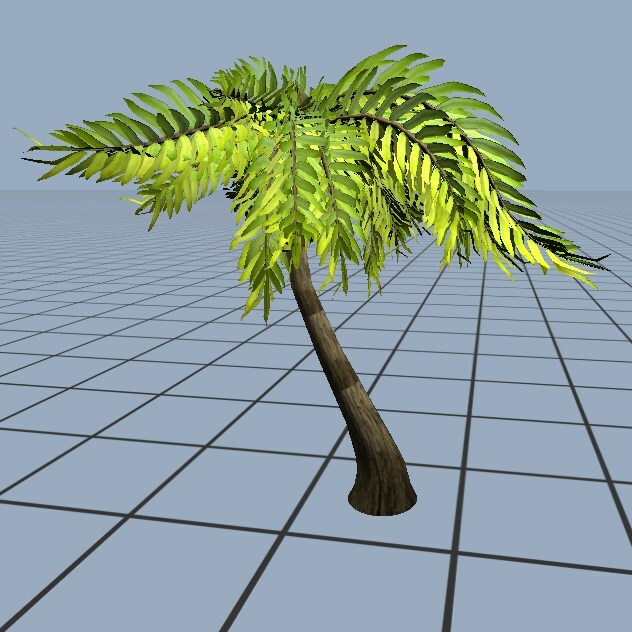 Procedural growth of branches and fronds. Easily create thousands of variations from the same tree specification. Export Meshes to OBJ, FBX or custom format. 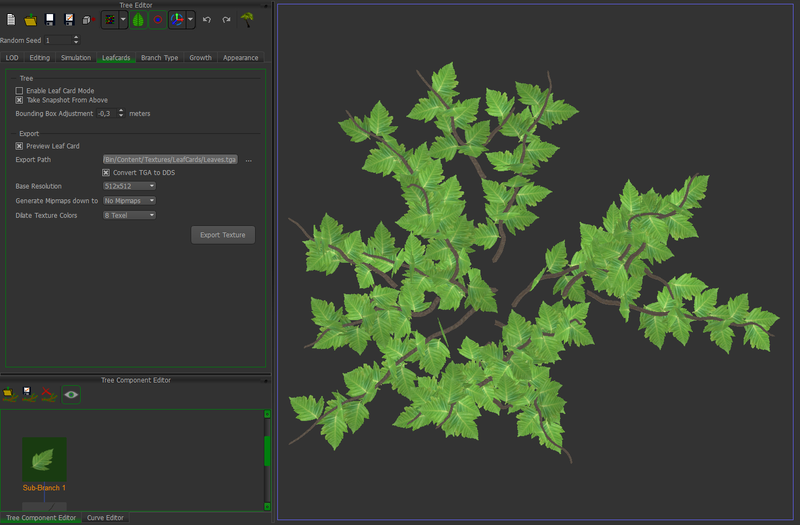 "Leafcard" mode to easily create textures which can be used to represent entire branches. 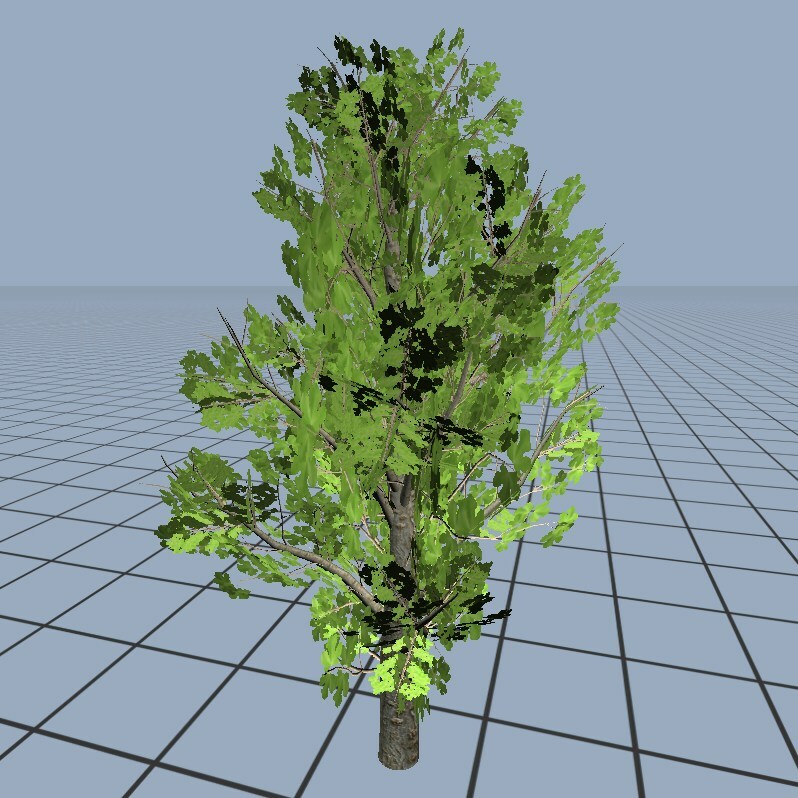 This enables you to create highly detailed looking trees without many polygons. 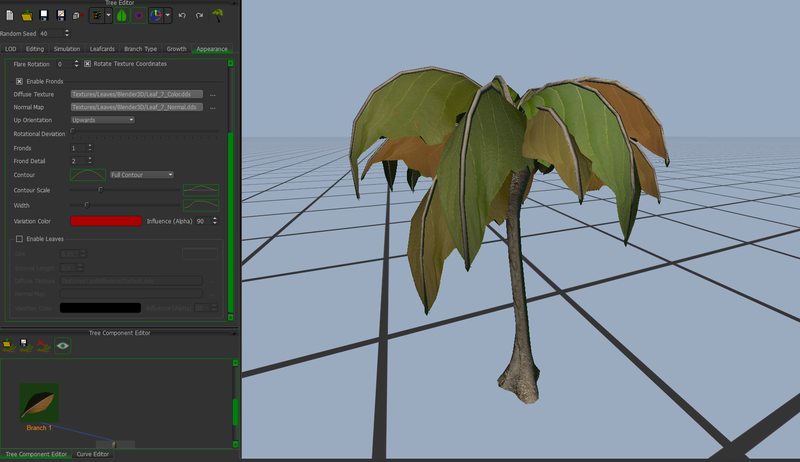 Exported leafcard textures are automatically processed to be well suited for mipmap creation. Automatic computation of up to five level-of-detail meshes with much reduced polygon counts. LODs include Impostor and Billboard mode. Many tweakable options to get the best quality out of level-of-detail meshes. Manual editing mode that allows to easily paint unique branches exactly as desired. On manually created branches additional procedural branches may be grown. 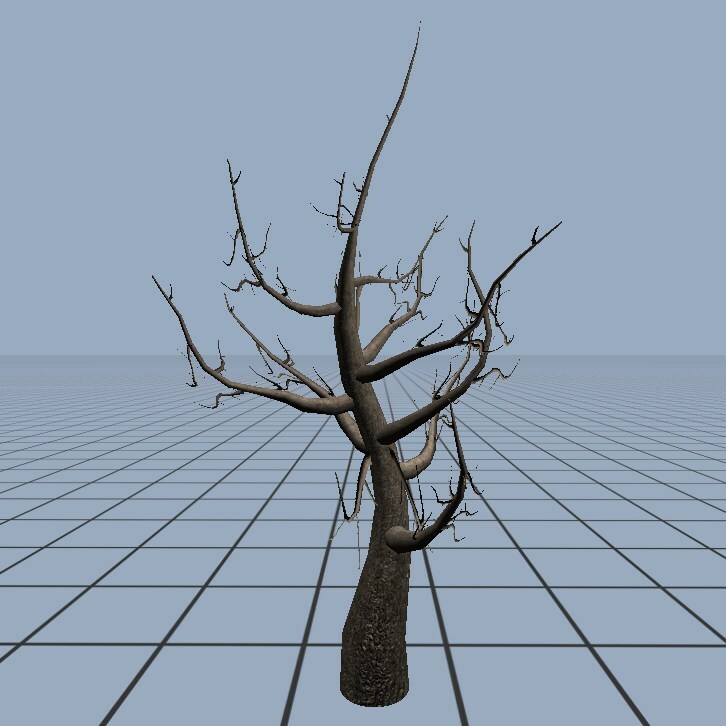 "Physical Simulation" mode: Branches will try to grow around obstacles, such as other branches or additional objects that can be loaded from OBJ files. This allows to create a tree that shall fit perfectly into some corner of a game level. Several sample trees and sample leafcards included. 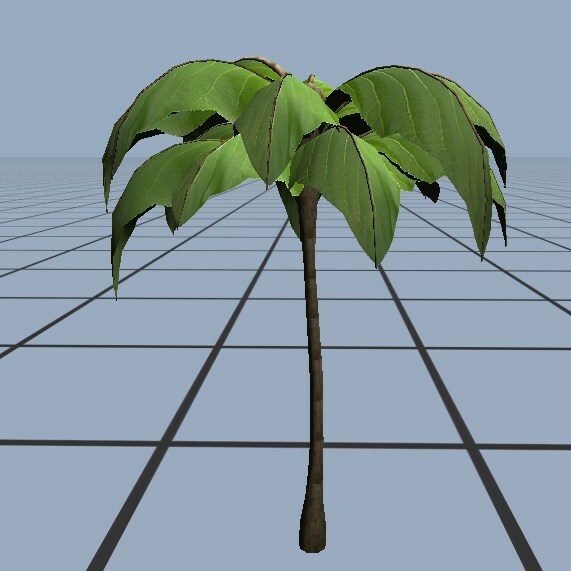 Tree-meshes generated with Kraut Tree Creator (BETA 2) can be used free of charge for both commercial and non-commercial projects. However, it would be nice if you let us now about it and also to mention Kraut in your application's credits. Note: You will need 7-zip to extract the downloaded package.